Stevenson Vestal is a family-owned business fabricating custom products for interior designers across the country since 1985. Our products are made-to-order, with unique fabric patterns, measurements, and custom accents. We pride ourselves in our quality and welcoming, non-judgmental work environment. Benefits include: Full time hours with paid holidays, paid time off, 401k, Consistent schedule (typically M-F, 8 AM-4:30 PM), Climate controlled warehouse, and PAID TRAINING (but warehouse experience or history of sewing preferred). Must be able to pass drug test during the application process. We are looking for assistance in our warehouse, to ship completed orders, receive deliveries, and document fabric details in the inspection process for our inventory. Potential candidates with attention to detail preferred, and the ability to stand for much of the shift, lift fabric bolts weighing up to 50 lbs, but averaging 10-15 lbs. Ability to work on a computer required for processing shipments. We are seeking individuals to assist in the fabrication of our products, including window treatments, bedding, or light upholstery. A love for fabric, knowledge of sewing, attention to detail, and passion for creative projects preferred, with the ability to stand for much of your shift. We are looking for a warehouse associate to assist with cutting fabric for orders in our drapery manufacturing department. Every fabric is unique and requires a careful eye with a general understanding of math and measurements to cut fabric to the specifications provided for each order. Potential candidates must be able to stand for much of the shift, and lift fabric bolts weighing up to 50 lbs. but averaging 10-15 lbs. Click on one of the above positions to open an Employment Application form and download from your viewing browser. 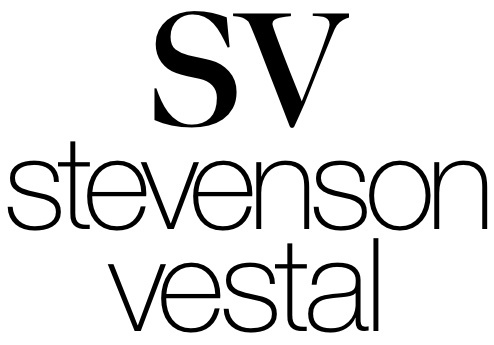 Send in your completed application to jobs@stevensonvestal.com to join our Stevenson Vestal team. We can't wait to hear from you! Experience a cooperative, comfortable atmosphere. Share food and gifts with coworkers around the holidays! Employees are rewarded for the longevity of their career with us. Many employees have been with us for 20-30 years!